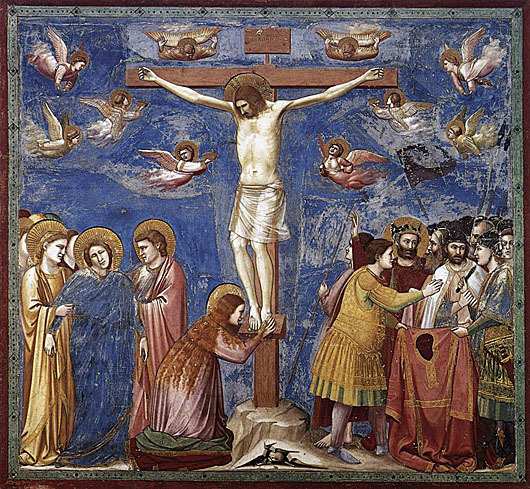 Consider the second fall of Jesus under the Cross -- a fall which renews the pain of all the wounds of the head and members of our afflicted Lord. Crucifixion, Arena Chapel. Fresco, c. 1305. Arena Chapel, Padua, Italy. Consider how thy Jesus, after three hours' Agony on the Cross, consumed at length with anguish, abandons Himself to the weight of His body, bows His head, and dies.